Date of Birth – October 17, 1901. Date of Ordination – August 31, 1926. Date of Reunion – July 7, 1935. Date of Death – September 14, 1979. Very Rev. Fr. 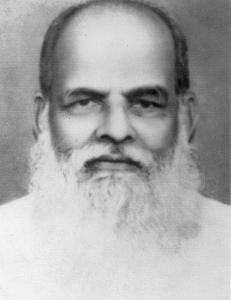 A.G Abraham Thengumthara Medayil also known as Mylapra Achan,the name which should be written in the golden words in the History of Mylapra. Whatever he dreamed about Mylapra, he put most of them into existence. One who leads from the front is the other meaning of priest. Achan was one of the few who made it true. Achan worked hard for the upliftment of the Catholic Church Mylapra. The gap that occurred due to the death of Achan cannot be filled. Both the new and old generation can also be proud of the social and political area he had put his step. Most of the institutions and organizations in Mylapra came into existence because of the support Achan has given. He had put immense effort in the formation of the Catholic Church, Mylapra. He enjoyed good relationship with the five families who had first joined the Mylapra Catholic Church, though he was the Asst.Vicar of the Mylapra Orthodox Church. At that time he was a resource person, so he had the opportunity to read and understand the Catholic faith. His studies about Catholicism helped him to form a deep conviction within him. On Jan 19, 1936 the general assembly of the Mylapra Jacobite Church was held in Mylapra School and those who were against him abstained from the meeting. Very Rev. Fr. A.G Abraham Thengumthara Medayil and the faithful came to the chapel in a procession and embraced the Catholic faith before His Grace Mar Ivanios. The ceremony was held the next day in Mylapra school and more than 150 families joined the Catholic fold before Mar Ivanios. Lets us move forward in the path which He had shown us.